Tampa, Florida port commissioners declined to approve staff recommendations to raise the daily parking garage rates from $14 to $15 and toincrease tariffs by 3 percent on cruse lines. Raising the tariff would have affected Royal Caribbean because unlike other cruise companies in Tampa, Royal Caribbean does not have a long-term contract with the port that includes payments that can be lower than a tariff arrangement. While Royal Caribbean may be subject to tariff increases in the future still, Royal Caribbean enjoys the luxury of being able to discontinue service at any time. 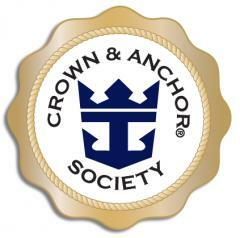 "new Crown & Anchor Society enhancements"
In addition, Diamond and Diamond Plus guests can attend nightly events, during which Crown & Anchor Society members can mingle with senior ship officers and staff, and with each other. As a special gift to Diamond and Diamond Plus members, Royal Caribbean Gold Anchor staff and crew will recognize these loyalest of members with commemorative gifts and other onboard elements. Members also will receive one additional cruise credit for sailing during December. Have you been on a Royal Caribbean cruise and thought to yourself that you would make a good cruise director? Well Royal Caribbean has the perfect contest for you. Royal Caribbean Brazil is looking for their next Director of Entertainment and is holding a contest. Interested parties have until August 25 to enter by sending an email to recrutamento@rccl.com.br. After August 25th, 10 candidates will be chosen for interviews. Following the interviews, from August 30 to September 5, the public can view the profiles of the candidates, watch videos, and vote for your favorite candidate and select five candidates. Complimentary Internet access for the purpose of allowing guests to enroll in the Crown and Anchor Society via iCafe while they are onboard so they can be eligible to book onboard and take advantage of the onboard booking discount. On European cruises, those who wish to remain onboard longer on departure day may sign up in advance of the cruise for Late Departure Program. Sign up online under Shore and Land Excursions for the port of call where the cruise terminates. Oasis of the Seas is testing a an Extended Stay program that allows the Oasis guests to store their luggage and enjoy a day in Hollywood, FL in and around the boardwalk. This opportunity encompasses shopping, dining, going to the beach, riding the trolley and/or relaxing at our hospitality center. 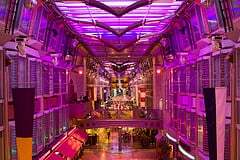 This opportunity is also available as a shore excursion under the port of call, Ft. Lauderdale, for all guests sailing onboard Oasis of the Seas. Royal Caribbean now accepts bookings at specialty restaurants for parties of 10 or fewer guests. Previously they only accepted bookings for parties of 6 or fewer. Authorities and companies in Guatemala have formed The Guatemalan Tourism Institute whose goal it is to promote the cruise industry in this Central American country. The group feels there is a lot of potential to generate significant foreign exchange earnings and jobs. The growth potential of the cruise ship heading is "huge," but to get this type of tourism, Guatemala must move forward on the challenges of infrastructure and the legislative, authorities and employers agreed. Federico Gonzalez-Denton, Royal Caribbean's Director-Government & Community Relations,Latin America & the Caribbean, "stressed that this industry has great growth potential in Guatemala". Companies like Royal Caribbean are wary of Guatemala still because Guatemala needs to overcome the challenges of improving its infrastructure, pass laws to strengthen the tourist trade in general and more effective actions of public safety. 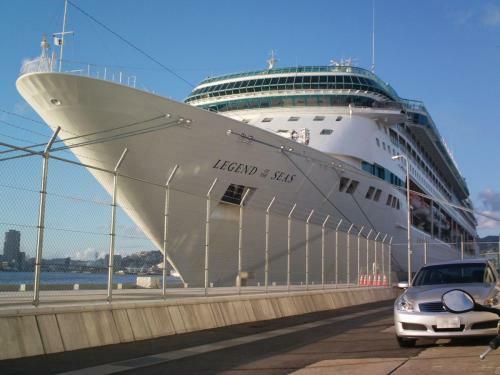 An official said that for the next cruise season there are 62 large cruise ships confirmed to visit Guatemala, which will generate foreign exchange and boost the economy of communities and provide an incentive for tourist services in the area. The new cruise port in Falmouth, Jamaica now has a tentative opening date of November 2 according to E Pihl & Son Project Manager Jes Olsen. Olsen says the first two ships to use the historic port will be arriving on November 2. Despite the port welcoming in ships by then, construction work will not be complete by then yet and at that time, "it will be a construction site", Olsen said. Visitors who do dock in November will be taking buses to nearby Ocho Rios and Montego Bay. 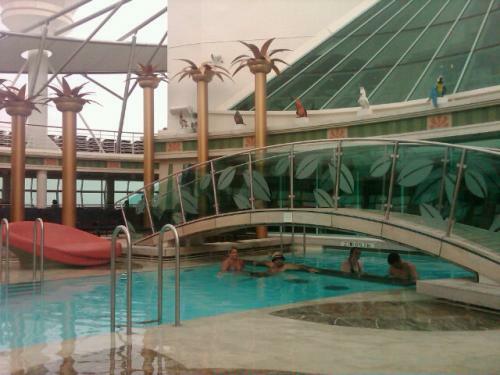 The goal is to have the port fully operational by March 13, 2011 when Oasis of the Seas will dock there. Olsen would not say how much of a dent the overrun will put in the budget, but he noted that the longer the work takes, the more costly the project becomes. According to Olsen, the delaying factors include soft soil at a spot where all the utilities are to be run, as well as coral which has had to be removed. Royal Caribbean has a vested interest in the port opening, as The Port Authority of Jamaica is responsible for the port infrastructure, while Royal Caribbean committed $102 million to the land structures, such as the shops and restaurants. In addition to Oasis of the Seas, other Royal Caribbean ships are scheduled to stop at the port. 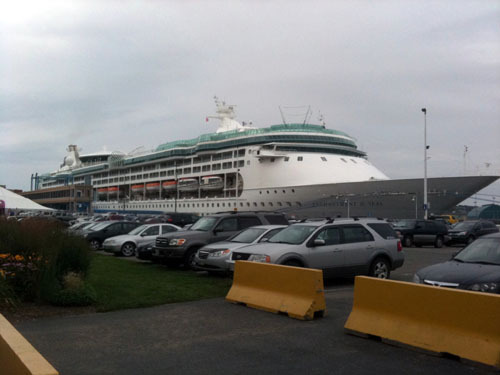 Navigator of the Seas has a visit scheduled as well as Freedom of the Seas a bit later.